Cleaning your RV exterior can sometimes be a hassle, especially if there tough stains on the surface. 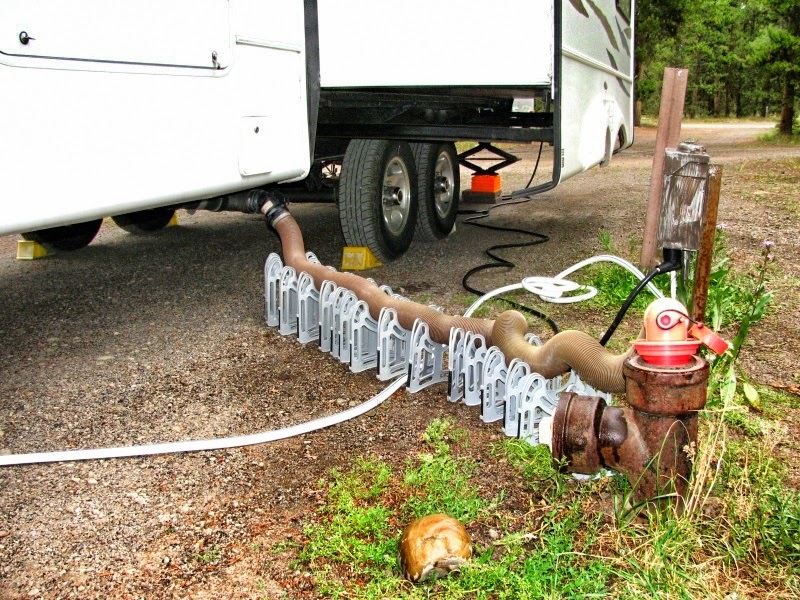 In the summer when your RV is typically used more often, it can be easy to put it off. You may also wish to avoid harsh chemicals that could potentially damage the surface or harm the environment. Thetford's RV Wash & Wax takes all those points into consideration, with a cleaning solution that works well on dirt without being too harsh on surfaces. 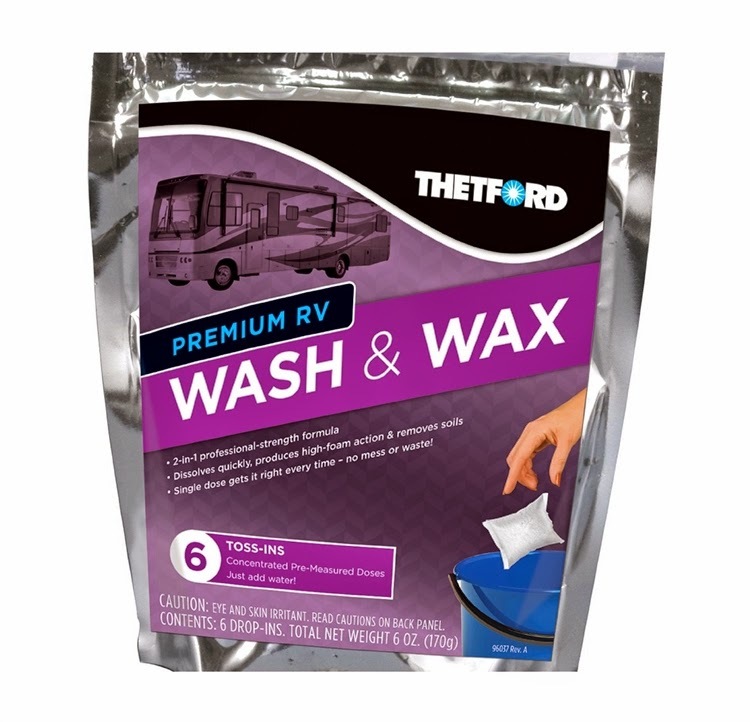 The Thetford RV Wash & Wax can be used whenever your RV needs a cleaning, whether it's from the dirt picked up on a long road trip, or exposure to the elements. Working on more than just dirt, it can also remove bug splatters, streaking and filmy grime. The cleaning solution includes a waxing element, adding a protective layer to your RV's surface. This also saves you a step, making the whole cleaning process go a little faster. It works on several different types of surfaces, and there is no need to worry about it harming any stickers, coloring or decals that may be on your vehicle. The Wash & Wax works not only on RVs, but can be used for other vehicles, such as trucks and vans as well. It is available in a couple different sizes, as well as the new single use 6 pack. The cleaning solution meets the Design for the Environment standards set by the EPA. This indicates the chemicals used are tested to be safe and will not bring additional harm to the environment. There are other options for receiving TV signals when you are away from home besides using satellite TV. Satellite TV, while convenient, can sometimes be a costly investment. It can also be impractical if it is not used often. 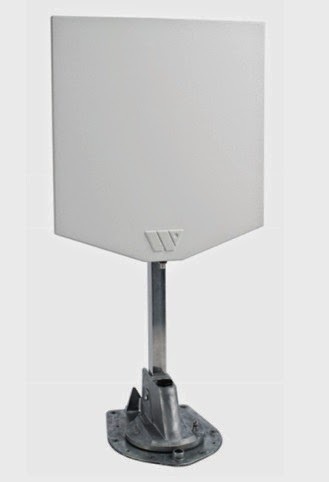 Another way it is possible to get TV signals is through the use of the Winegard Rayzar Air HD TV Antenna. The Rayzar Air can get reception from UHF signals using both the front and back of the antenna head, increasing its channel coverage ability. You can also receive high band VHF as well as HD channels through this device. 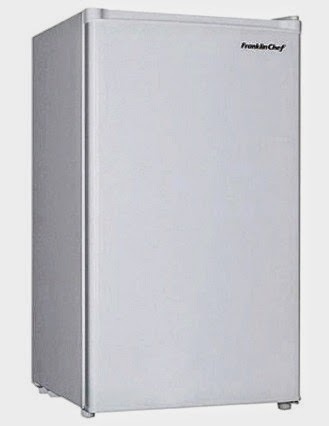 The Rayzar Air is made to be switched out with your existing antenna. 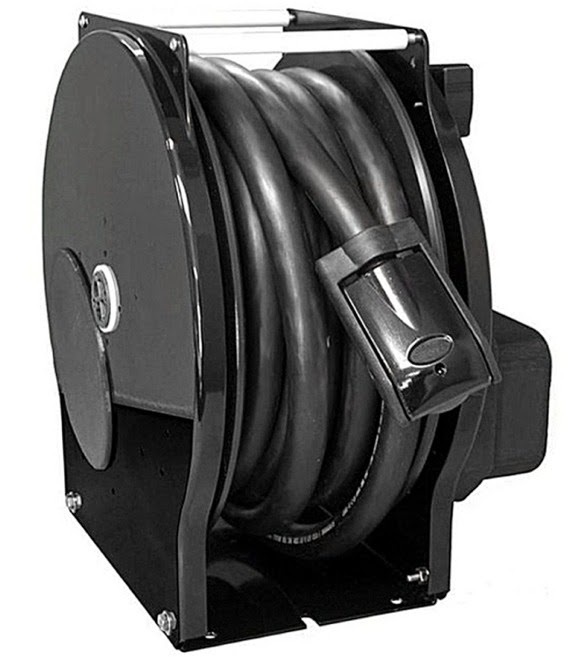 It permanently installs on the roof of your motorhome, and is made to stand up to strong sun and other weather conditions. This antenna can work with but digital and analog TV sets, however a digital converter box must be used with an analog TV. When not in use the antenna can be lowered to lay flat, parallel to the roof. When raised, it reaches over 26" in height. It has a slim design, with the antenna head being less than 1" thick. 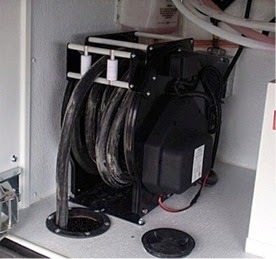 It is important that the antenna be placed in the right location on your RV's roof for optimum performance. If you are unsure where to place it, it is best to check with an RV dealer or your manufacturer. Besides being raised or lowered, the antenna can also be adjusted in the direction that allows for the best reception. Please note that the antenna is not made for use while the RV is in motion or in particularly high winds (70mph). The Winegard Rayzar Air can prove to be a cost effective to solution to receiving TV channels, and provides an alternative to satellite TV. Creating a look for the interior of your RV can add the style and comfort that you would find at home. Even if interior decorating is not one of your strengths, it can be quite easy to incorporate a touch of elegance or personality to your motorhome. One way to do that is to include small furniture accessories, such as end tables or folding tables. There are several options available that can meet your needs of functionality as well as the size of your space. 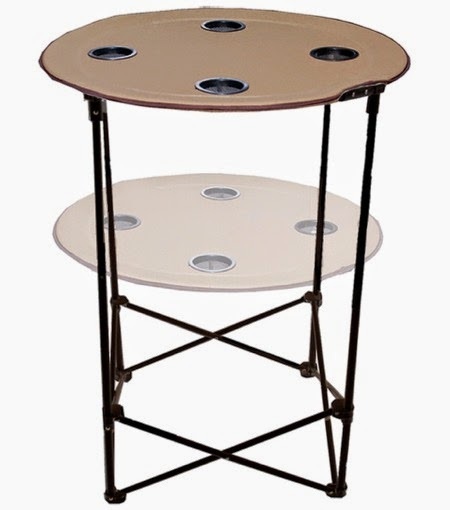 The Table Server ChairSide end tables will work in your home and your RV. They are portable, so they can be moved to wherever extra space is needed, including bedrooms, living areas or kitchen areas. They are available in different styles and wood finishes, such as mahogany or oak. The two cup holders can hold drinks as well as wine bottles and the small size ensures that they will not take up much room. The cup holders can also store other items that you wish to keep within reach. 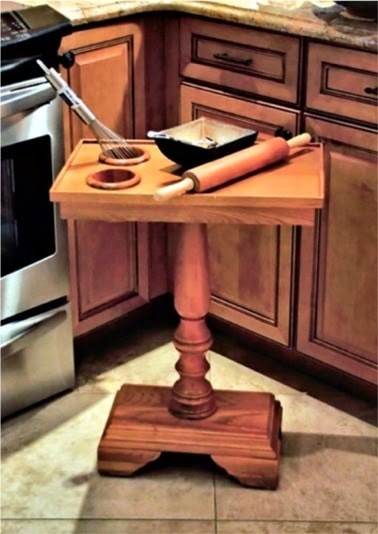 Table Server also has a collapsible end table, with legs that fold inward as well as a removable top and lower shelf. This table also features drink/bottle holders and is made from acacia wood. Its ability to fold down makes it easy to store when not in use. Once assembled, it appears to be just like any other end table, and can even be used outside. 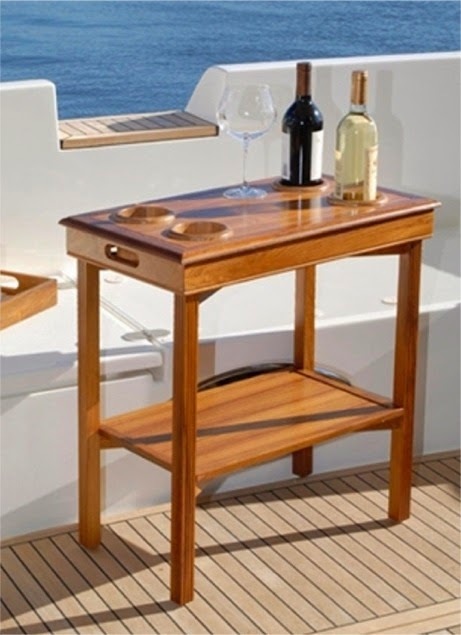 The Table Server end tables work well not only for RVs but also in your own home. For a more casual approach when camping or entertaining outside, the Adjustable Folding Table from Prime Products makes an ideal solution. While being collapsible for easy storage, the height of the table can be set to a sitting or standing height. It also features beverage holders to keep drinks in place. The top is covered with durable polyester fabric, so it can stand up to different uses. Other types of end tables and folding tables are available to fit your style and needs, including tables for both indoor and outdoor use. They are a simple way to upgrade the appearance of your RV interior or bring some of the indoors to an outside area. Father's Day is coming up fast, and will be here in less than two weeks. For some of us, trying to find the right gift for Dad can be a problem. Ties are always among the most common gift items, but there are other ideas out there. 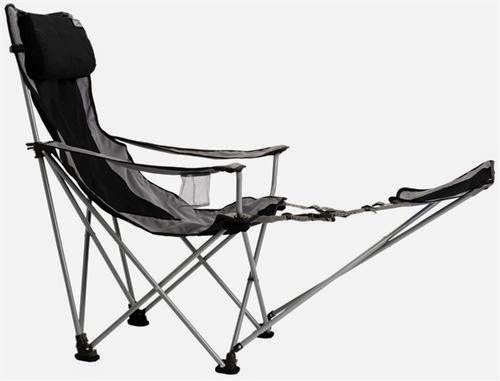 Camping accessories, for example, can make an ideal gift, especially for the type of father who loves to go RVing or spend time outdoors. For something inexpensive and low key, Sportula's Premium Grill Spatulas are great for grilling at home as well as on the road. 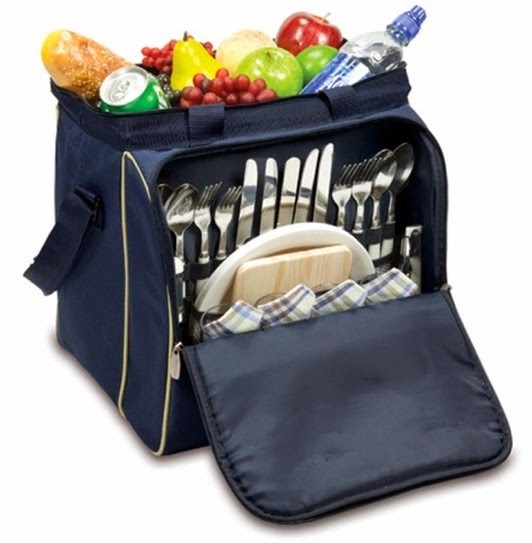 They are made to durable, featuring stainless steel construction with maple handles. The bottle opener on the other end will come in handy if your dad needs to open a beverage. You can choose from six different designs, including "Dad" or "#1 Grandpa" options. Hiking poles are a great accessory for the active father who likes to take long treks outside. The Kelty Upland Hiking Poles are made to be more comfortable while in use, featuring an Anti-Shock Spring that helps when making a descent. They feature a collapsible design so storage during travel is made easier, and so height can adjusted for the person using it. They can be used on rough terrain, as well as concrete surfaces, due to the optional rubber tip that comes included. When used correctly, hiking poles will help take the tension and strain off of the back and knees. 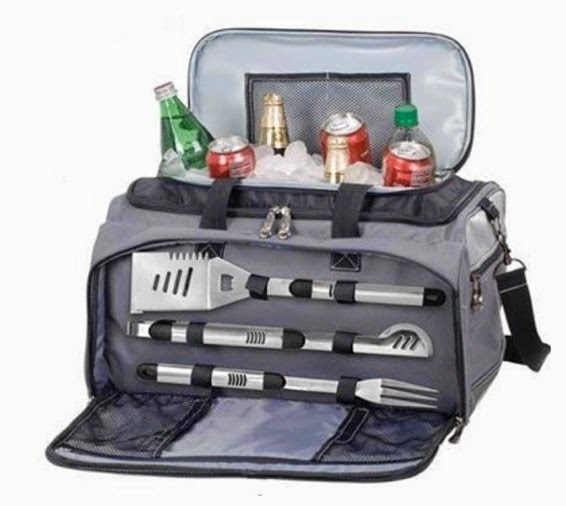 The Picnic Time Buccaneer is an all-in-one idea that includes everything needed for a tailgate party. 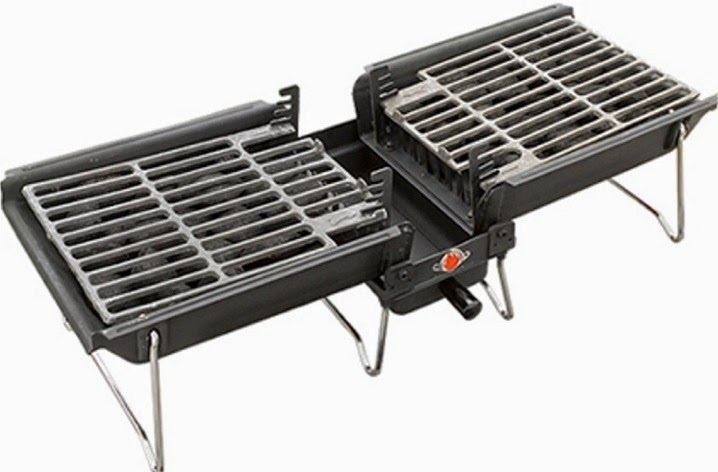 It comes with a charcoal grill and a cooler that has the capacity to hold up to 24 beverage cans. Grilling accessories such as a spatula, tongs and BBQ come with the set. The spatula has the added advantage of also having a serrated edge for slicing as well as a bottle opener. The Buccaneer has additional storage for blankets & towels, ice packs for the cooler, or other supplies. Of course, gift cards are always an option when you are totally unsure of what to do, or wish to add-on to a gift that's already been bought. The Gift Ideas and Outdoor Living sections also include many other ideas for Father's Day gifts.